This guide is an introduction to qualitative research. It includes references to textbooks, experts, tips, software, and tools for collecting, managing, and analyzing non-numerical data (e.g. text, audio, video, or pictures). Assistance with locating data , data management questions, mixed methods, and the research process. See the guide, Introduction to Text Analysis, for advanced tools and recommendations. Get help by drop-in or appointment; for workshops see Courses & Workshops box. 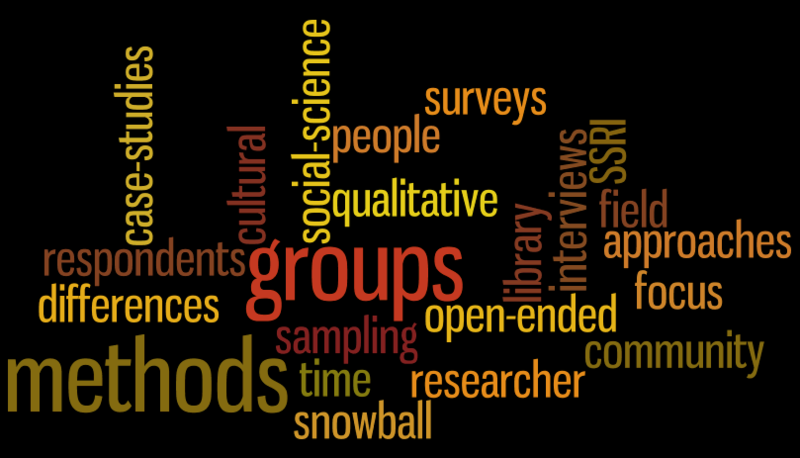 To join (or learn more about) a qualitative research working group that meets regularly to discuss qualitative methods and members' projects, email Alexandra Cooper, cooper@duke.edu.